​Barcelona winger Philippe Coutinho has revealed that he does not want to leave the club this summer, despite rumours suggesting the Brazilian could be sold to either Manchester United or Chelsea. Coutinho has struggled greatly for form since joining Barcelona in January 2018 and has recently been jeered by fans for his frustrating performances. He has been heavily linked with a return to the Premier League, whilst Paris Saint-Germain are also thought to be keen. However, according to ​The Mirror, Coutinho remains fully committed to the club, adding that he remains determined to improve. He said: “This is my second season here. I have won titles but I am always an ambitious and demanding player. So, I want more and more. But I’m happy. I wanted to play in Spain and I’m at the best club in Spain. Despite joining the club in a deal which could cost up to £142m, Coutinho has failed to cement a regular part in the starting lineup, despite Ernesto Valverde's best efforts to accommodate him. ​Ousmane Dembele has enjoyed a fantastic run of form this season which, coupled with Coutinho's struggles, has left Valverde with no choice but to field the Frenchman alongside both ​Luis Suarez and ​Lionel Messi. Back in March, it was reported that ​Barcelona were prepared to give Coutinho one month to improve, with the club set to meet following the conclusion of their ​Champions League quarter-final tie with United to decide whether they will look to part ways with their record signing. Diego Costa created as many chances (1) as Philippe Coutinho during #BarçaAtleti despite being sent off after 28 minutes. He netted his side's opening goal in Tuesday's dramatic 4-4 draw with Villarreal, but put in another disappointing performance against ​Atletico Madrid on Saturday. 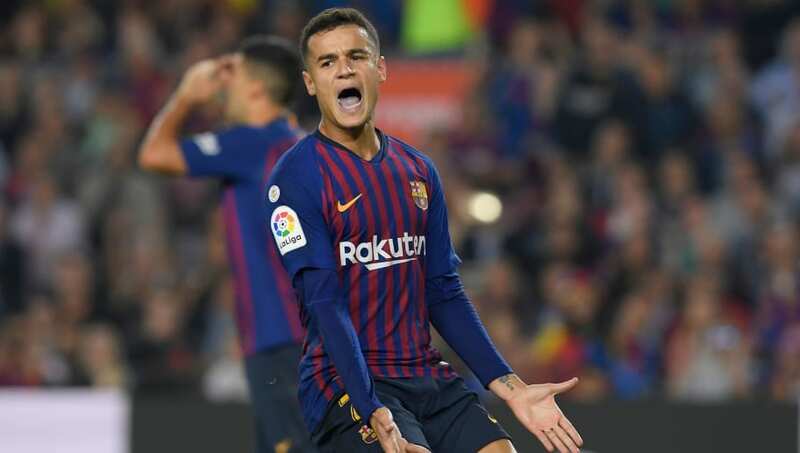 With ten minutes remaining, Coutinho was taken off the field and Barcelona quickly went on to score twice, leaving many fans questioning why he was not substituted sooner. However, he has now reaffirmed his desire to improve, and will be looking to Wednesday's clash with ​United as a chance to prove himself.